In a year of discussion and debate over Ottawa’s plans for a state-of-the-art, $175-million Central Library, the city hasn’t forgotten one of its most longstanding services. 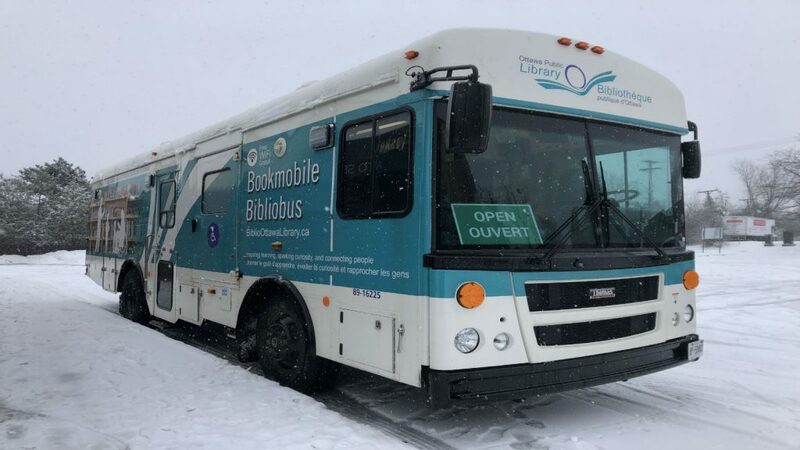 A new bookmobile will hit the streets in 2019, after the Ottawa Public Library Board recently renewed its investment in the 65-year-old service. The new vehicle is part of the board’s long-term plan for its alternative services, detailed in a report approved late last year. “Alternative services” refers to express and mobile delivery of library resources. 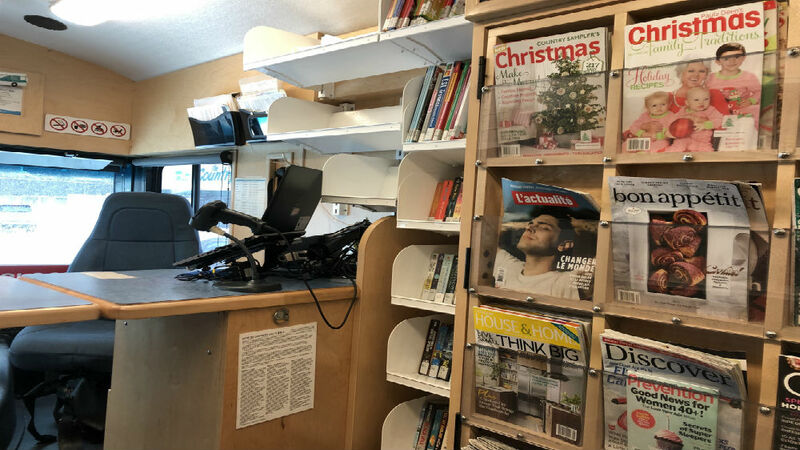 The report says the library’s bookmobiles play the biggest role in providing these services, followed by its homebound service that brings books to doorsteps free of charge. The report underlined three priorities for the library’s alternative services: inclusion, discovery and neighbourhood access. Mark Gelsomino, supervising librarian and manager of bookmobile services, says the bookmobile is essential to reaching these goals in urban, suburban and rural areas. The new vehicle will replace an older unit that was purchased by the city in 2005 and has reached the end of its life. Going forward, the city will continue to run with two large bookmobiles and one mini bookmobile, which was introduced in 2015. User data from 2017 shows considerable demand. There were just shy of 30,000 visits and 80,000 loans made at Ottawa bookmobiles last year. According to a public tender notice released by the city Nov. 14, the new bookmobile will be a 40 foot bus converted to hold about 5,000 books or other items. Aboard the new vehicle, users will have access to free wifi and electronic resources such as ebooks, audiobooks and research databases. Gelsomino says the bookmobile can be thought of as “a micro version” of the physical library experience. But Gelsomino adds that while a lengthy research phase was done to explore possible models, the new bus won’t feature any major innovations. Bookmobile routes run Monday through Saturday, making 25 stops in neighbourhoods around the city. 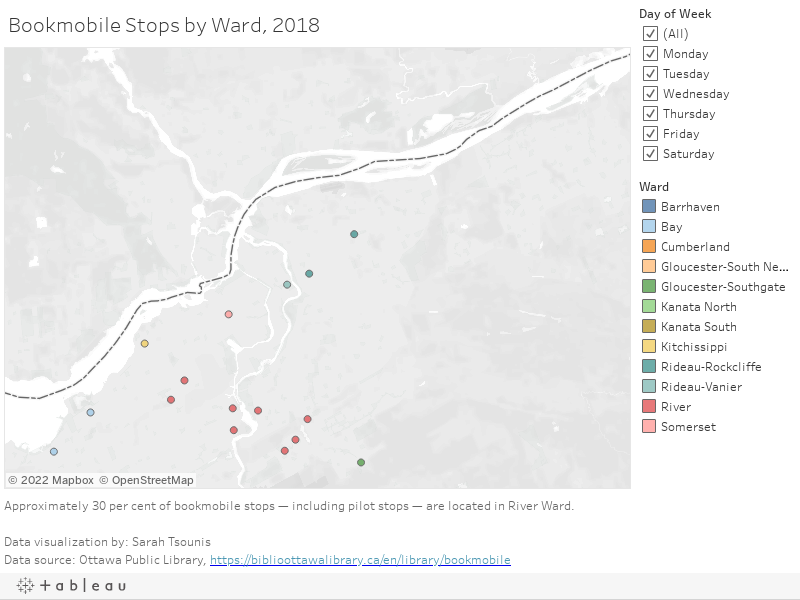 Route schedules are reviewed every two years, and the city is in the middle of a pilot project that’s testing stops in the Carlington, Ledbury Banff and Overbrook neighbourhoods. The report approved by the board points to seniors and residents with disabilities as the demographic groups most in need of mobile library services. This need could grow with time: The number of seniors in the city is expected to rise from roughly 15 per cent of the population in 2016 to 20 per cent in 2031. As with the old vehicle, the new bookmobile will be wheelchair accessible. 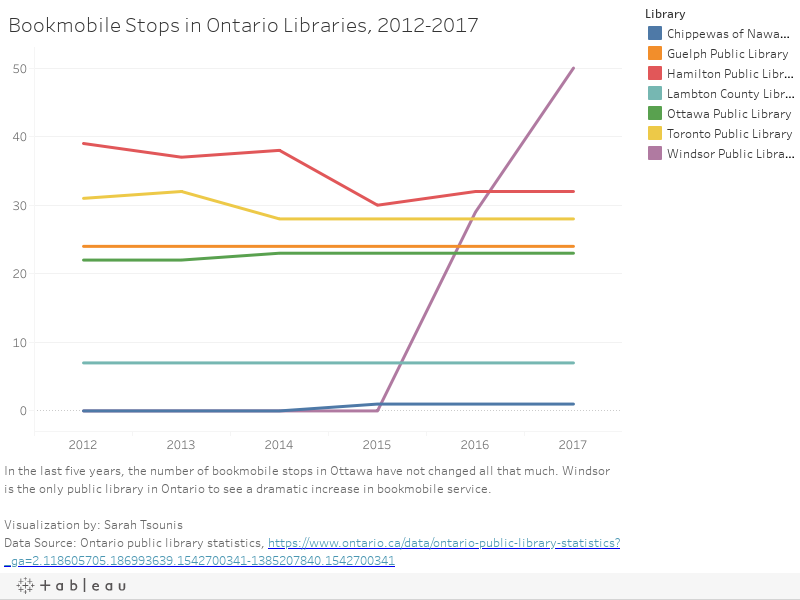 The report also cited the 12 per cent of Ottawa residents living in poverty in 2015 as having greater need of mobile library access – a connection that literacy advocate Lisa McArthur believes is undeniable. 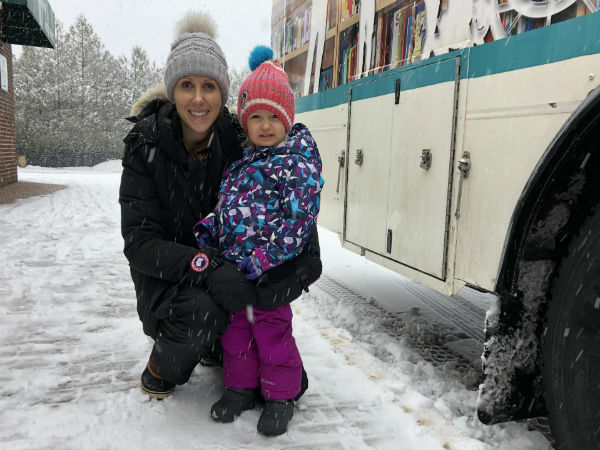 Jenna Baggott, a nurse who has been coming to the bookmobile with her daughter in their Riverside Park neighbourhood for the past few months, says having a library arrive down the street from her house has been a great convenience in her busy shift schedule. Baggott added that she’s glad to see a wide selection of both French and English children’s books in the mobile library.